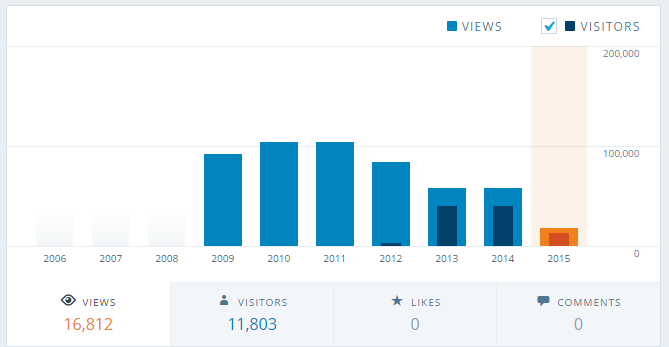 First of all, thank You everyone who have made this blog by posting through the years. Nothing last for ever, except for Microsoft (!! ), so this is the last post here on this blog. It will be available as long as WordPress allow it. I guess it’s due to inactive it will, sooner or later, be removed. What I’m doing? Well, coding in Xamarin (Android), NSBasic (Android), .NET, VB6 and occasionally in VBA. I’m still alive although it was quite a long time ago I published any article here. But now that I’m back I hope I will speed things up so You will see more activity of my blog. Apress have a series of books that are made available for free. The series is named ApressOpen eBooks and it’s the publisher branch’s “open source” program. It should be noted that the series only includes eBooks. Recently Apress announced that, among other titles, the book Office 365 is now part of the series. During 2013 Syncfusion have been releasing additional books in the series of Succintly. They cover a lot of development areas and are all free (PDFs). Per se it’s not free as You need to pay $ 1 for 1 license which is also valid for next offer. Anyway, I find it nice when a company like Syncfusion actually see the group of hobbyists. SoftMaker have a yearly tradition, Load and Help, where they offer a free version of their Office suite, FreeOffice for the Windows platform and also the Linux platform. This time the free package also includes a group of nice fonts. For every download SoftMaker will pay € 10 to aid and charity projects around the world. For more information please go to Load and Help site. I find it to be a very nice approach and therefore give it my support. Great Articles based on Formulas only! Whenever I see solutions in MS Excel without the use of VBA it actually reveals the core power with functions and formulas. That’s why I want to highlight the excellent work made up at “E90E50fx….only formulas”. Now I will go back to other activities excluding MS Excel! We all get some favorite tools, tools that we use on a regular basis. They usually do the work fast and effective. I still use SQLite databases and have done it more then eight years or so. The SQLite database is great for a various tasks, especially as an embedded database. It’s easy to work with in all the environments I move between, VB6 / VB.NET / LiveCode / Real Studio (Xojo) / PowerBasic & EZ GUI / NSB AppStudio. The key to successfully use SQLite in different solutions is the tools I administrate SQLite databases with. For some years ago I stumbled over a site that caught my interest, http://www.sqlabs.net/. A Freeware key: Max 3 concurrent connections key without any time limitation. Some months later, after the publish, I needed a server for my SQLite databases. I then remembered this kind offer. Now I nearly cannot live without it. In my personal opinion these tools are highly recommended and the price of each SQLite tool should not scare anyone away. They, SQLabs, also offer some more tools that may be is of interest. Around 2005 – 2006 I peaked with MS Excel, since then I have slightly moved away from it year to year. In 2010 I was honored to become part of Microsoft’s MVP-program. Of course, it was interesting to get another position and more closed to Microsoft in general, the production team in particularly. However, I never got excited about it as I was moving away from MS Excel. In addition, I didn’t put much efforts to support the online community in various forms. Given the circumstances I finally took the decision to not be up for the next renewal process. Looking back I can conclude that it has been an amazing time, from the 80’s and until now. I have also achieved more than what I thought was possible. In other words, I have nothing more to proof. So I can walk away and looking ahead for new adventures in the world of softwares. But before I close the MS Excel book I have one thing I would like to point out and to discuss. Let me first conclude that Microsoft have never really been loyal to the group of developers for MS Excel. It’s regretful as the group have a strong commitment and interest of developing MS Excel further. In the beginning we got the macro language, XLM, which we started to use more and more. Then VBA and VB6 came and Microsoft asked us to drop XLM in favor of these two Basic languages. 10 years later VB6 was depreciated and since then VBA also risk to be depreciated. Microsoft asked us to replace them with .NET and VSTO. 10 years later .NET and VSTO face the same situation as VB6, i.e to be depreciated. Microsoft now ask us to start develop with Apps for Office. Given the short history, i.e about 20 years, it’s remarkable the number of changes Microsoft have done. In my opinion, Microsoft’s trust capital is now below zero due to lack of loyalty Microsoft show the group of MS Excel developers. The question is not about Apps for Office rather what will come next? But it’s no longer of interest for me. I’m moving along and I set focus on other tools and platforms. The blog will change its name and extend its contest with other tools including other platforms. Actually, I will go back to VB6, pick up new tools like PowerBasic and PureBasic which will allow me to write everything in code, including the UI. Other tools I have picked up is Real Studio and LiveCode together with my two favorites databases; Valentina and Ninja Pro. I have uninstalled Office 2013 and replaced it with the 2000 version. I may re install it later on in case I find Apps for Office interesting unless it has been already replaced with something new!